The law doesn’t serve fair judgments at all times. Most of the times, you are held by the policy just because you were at the wrong place at the wrong time, even though you didn’t commit any mistakes. You are made to pay a huge fine or serve a jail sentence, depending on the case that has been framed against you. If you are guilty, your punishment is more severe. During these times, it is essential to have a Criminal Defence Lawyer In Brampton to fight your case for you and make you a free man again (if you are not at fault) or reduces the severity of your punishment (if you are guilty). If you are not yet convinced, read on to know more about the benefits of hiring a Criminal Defence Law Firm In Brampton to fight your case. 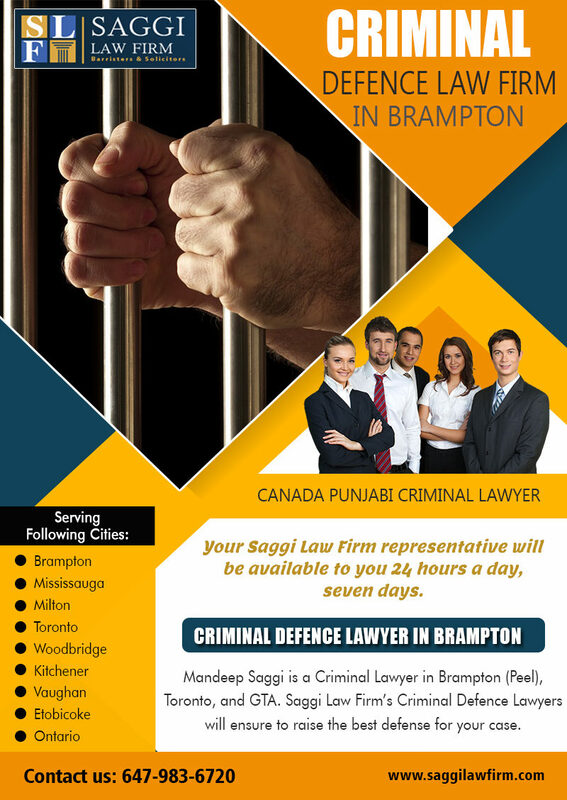 When you hire a professional Punjabi Criminal Lawyer In Brampton to defend your case, you can rest assured that he would analyze your situation very well and spot loopholes that are hard to find otherwise. He will represent you confidently, speak of the facts clearly and explain why you did what you did and why you should be excused from severe punishments. One of the primary advantages of hiring a Criminal Defence Lawyer In Brampton is the wide variety of strategies that he prepares for your case to ensure that you come out of it clean or with less punishment, An experienced and professional criminal defense lawyer knows that each situation demands a different strategy. If you don’t hire a Criminal Lawyer Brampton Ontario, you will be deprived of this expertise, and you will be left to fight your case with whatever little information that you have in hand. He prepares your case with reliable facts, evidence, interrogations, and reports so that he can come up with powerful negotiations, settlements or discussions at the court. He prepares you well to answer questions from the prosecution lawyers as well so that you don’t sound diffident at any point. When you hire a Criminal Defence Attorney In Brampton immediately after being implicated in a case (falsely or correctly), it works great in your favor. This is because when your lawyer files your claim in the court almost immediately after you are being charged, it gives very little time for the prosecution lawyers to prepare charges against you. 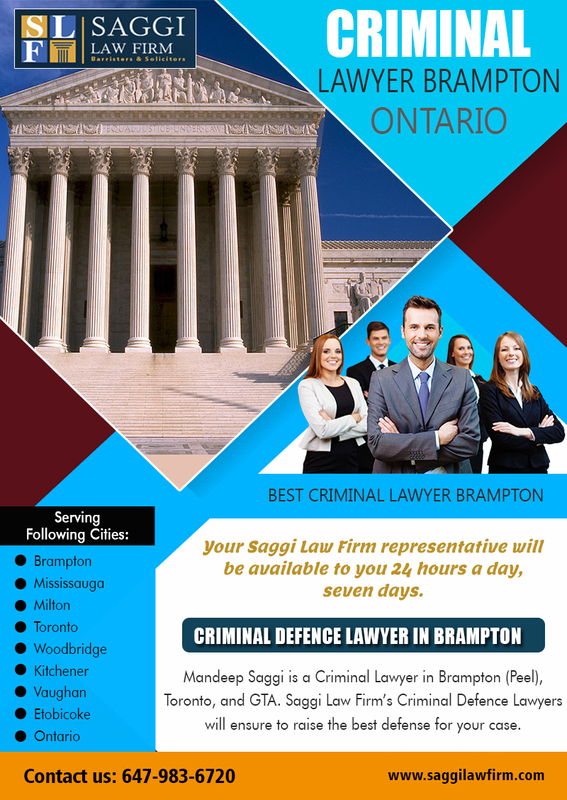 When you hire an Experienced Brampton criminal lawyer, you are not just hiring one person to defend your case; you are hiring a talented team of legal experts who do all kinds of groundwork that is required in your case. It is this team that presents the final facts and results of their findings to your criminal defense lawyer, who then works with the results and draws his analysis to your case. The team that your criminal defense lawyer manages is involved in some critical activities like investigating essential witnesses in the case, tracking them down to get the real information, preparing essential notes related to the evidence, cross-examination of people involved and the like.The court is also quite lenient when charges are accepted and presented at the time. This will guarantee you a lower degree of punishment or complete freedom, based on the fact whether you are guilty or not. Criminal defense lawyers defend people who are charged with criminal offenses and have been found guilty of the charged crimes such as robberies, murders, drugs and many more. An accused person has the right to represent their case in a court of law. However, this is not a wise decision since the justice system is complicated and one to be able to understand the procedure of an ongoing case can be tasking for an individual who is not trained to represent in a court of law. The work of an experienced criminal lawyer entails many difficult tasks which include the gathering of evidence, questioning witnesses to be able to build a strong case that will help the client and have the charges against them dropped. Criminal defense service offers legal representation to individuals under police investigation or facing criminal charges. It also acts as a regulator for the police force so they can operate within the law and prevent corruption within the authority. The Criminal Defense Service enables fair justice for all this is done together with criminal defense attorneys and the legislature. Free legal advice and representation are offered at the police station and the court. Public defenders also knew as criminal defense lawyers represent the defendant they are hired by the government to defend people in court. A defense lawyer can become popular if the person they are describing is well known or if the case is one of a high profile. There are various ways for one to get a good lawyer through adverts in the newspaper or going online which is very useful since many people use it and it is informative. A defendant should provide their criminal history to enable the defense attorney lawyer to assess the case and have the legal issues be better addressed. A client should have an understanding with their lawyer for them to be able to present their case comfortably without any hitches. A good lawyer should be ethical and reputable one that will help with your situation and not pressure a client to pay the whole service fee before the hearing of the case.